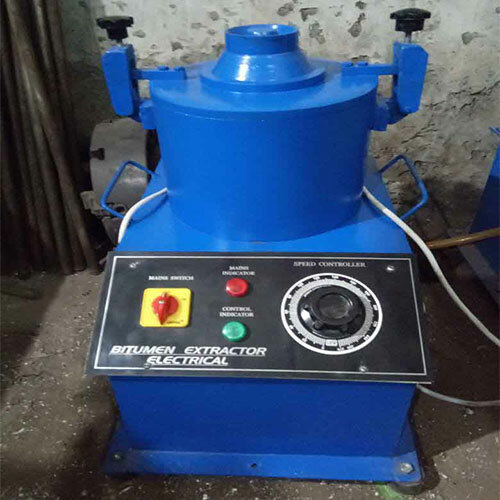 Centrifuge Extractor (Motorized) Description: SE-Test India manufactures centrifuge extractors for testing bitumen and asphalt mixtures. The apparatus SET 1306 has been developed as per the international standards that are currently practiced by the engineering labs and professionals. Therefore we are among the leading centrifuge extractor motorized exporters in India. Our product conforms to the standards – ASTM D2172, AASHTO T-58 and T-164. The motorized centrifuge extractor has been made with the best quality SS and provided with high quality electrical insulation that make it safe and durable for long term use. The motorized centrifuge is powered by an electric motor tuned for 220V ~ 240V (50 Hz) single phase electric supply. The high performance motor allows swift testing of the samples in labs and on site while variable speed adjuster offers 2400 to 3600 RPM range as per suitability. These attributes make SE-Test India the preferred centrifuge extractor motorized manufacturers in India and world.